Celebrity biographer Sean Smith's next book is going to be about Ed Sheeran. Ed Sheeran, a popular musician and singer, has released three albums and is one of the world's best-selling music artistes. Sean Smith is the author of six books that became Sunday Times bestsellers. He's written about J. K. Rowling, George Michael, Adele, Cheryl Cole and Kim Kardashian among others. 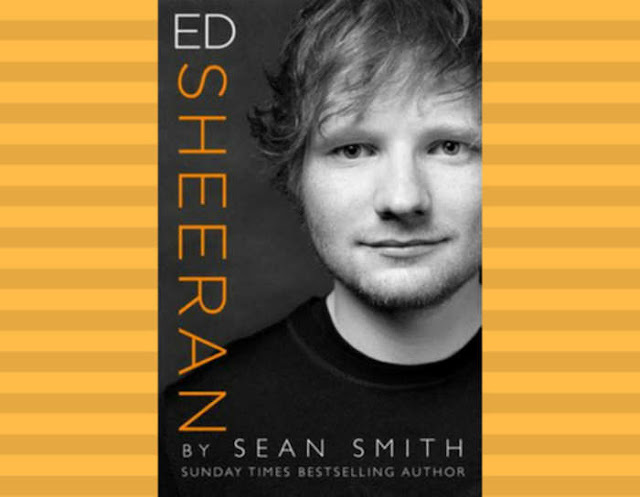 Now his new book is going to be a, “fascinating and revealing insight into Ed Sheeran the man and his music”, according to the publisher, Harper Collins. The biographer has researched extensively, even going to, "the quiet Suffolk backwater that Ed still calls home." He said: “I am fascinated by how Ed Sheeran came to be such a huge star so quickly. Of course, like all instant successes, he worked tirelessly for years to achieve his goals. He is a rare combination of talent and dedication, confidence and courage – and it’s a pleasure learning how he’s achieved so much. The book is due to be published on 15th November 2018.